Outdoor food can be fun. Your outdoor kitchen should be designed in correlation to space needed for preparation, type of cooking and intent. A fully functional outdoor kitchen which is equipped adequately with outdoor appliances helps organize the task of successful outdoor dining and entertaining. Outdoor appliances compliment the grill which is the life of the party in many ways. The outdoor appliance line should cover details such as heat sourcing for cooking, assisting on the clean up and ease of presenting. All these functions of the outdoor kitchen can be properly handled when the correct appliance line is chosen and more importantly the design and layout of the Outdoor kitchen is aligned directly to the outdoor kitchen intent. 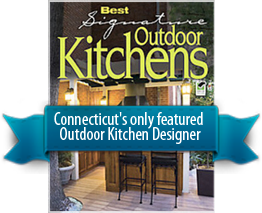 It is a daunting task to design and outfit an outdoor kitchen on an individual basis. Consulting a professional outdoor kitchen designer lends itself to be the best approach as guidance can be offered in many ways that vary differently from your ordinary indoor kitchen build experience. First hand, not all outdoor appliances are considered equal. Many of the big indoor names have released outdoor lines of grills and appliances. Their popularity stems with familiarity of their indoor product line. Commercial proven lines of appliances with significant footholds in resorts, hotels and hospitality venues are rapidly expanding to the outdoor dining world as well. Whereas some of the best outdoor products are from manufacturers solely designated to outdoor grills and appliances. It is these niche manufacturers who are successful in understanding the needs of outdoor grilling, dining and entertaining. They are responsive enough to develop perfected appliances that are proven professional in performance and residentially appealing too. They pride their lines of appliances to celebrate a rewarding mannerism of outdoor living with friends and family. Use all the same equipment and appliances so the handles and finish of the appliances remain all the same. No need for a hybrid outdoor kitchen.